REFLECT: Locate a synonym for confidence in this passage. 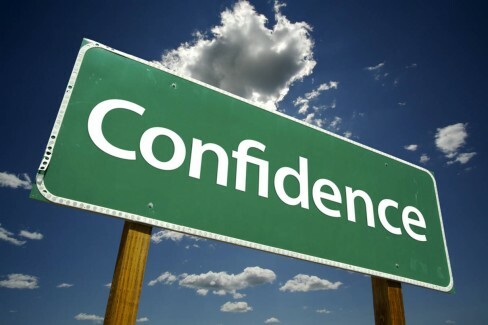 RESPOND: Identify the most confident person you have personally witnessed. Where did they obtain their confidence? “If I have made gold my trust or called fine gold my confidence, if I have rejoiced because my wealth was abundant or because my hand had found much, if I have looked at the sun when it shone, or the moon moving in splendor, and my heart has been secretly enticed, and my mouth has kissed my hand, this also would be an iniquity to be punished by the judges, for I would have been false to God above." Just got back from a 14 day mission trip to Kenya and I had the distinct opportunity to serve alongside Norbert Schwer a surgeon from Michigan. He was quite possibly one of the best men I have ever been around. He knew who he was and he had such a peace and calmness around him. He inspired me to be a better man. I want his confidence and his peace and I know that it comes from his faith in Christ. That was puzzling. I've never thought about it in this way. Can you add something here, please?